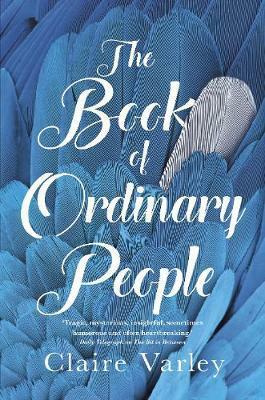 Set in the northern suburbs of Melbourne, The Book of Ordinary People by Claire Varley is simply, as the title suggests, a book about ordinary people. It follows the separate stories of five strangers, whose lives occasionally intersect, as they go about their everyday business. There’s Evangelina, a woman in mourning, who is trying to make sense of her mother’s seemingly unremarkable life. DB is a man who spends so much time trying to create the ideal life for himself and his family that he risks losing the very people who are important to him. Rik is a failed journalist, who has returned from a war zone overseas, and now spends his time trying to hide from his past. Then there’s Nell, an idealistic young lawyer who desperately wants to make a difference. At the heart of the novel though is Aida, a young Iranian journalist, who is seeking asylum in Australia. Unable to return to her homeland and her family for fear of persecution, Aida waits patiently, constantly checking her letterbox, for news that her visa application has been successful. With dignity and pride, Aida works for cash-in-hand wages, that often amount to half as much as her co-workers receive. It is through Aida that we come to understand how frustrating it must be to be held hostage to the whim of governments, and the toll it takes on the mental health of those seeking asylum. Using fragments from the journals, emails and articles of her characters at the start of each chapter, Varley explores the political and social issues of our times. The Book of Ordinary People is a heart-warming and thought-provoking novel that reminds us to value what matters most – our families, our friends and humanity as a whole.